Should state-funded museums focus on the past of one nation, or should they open up their exhibitions to incorporate history of an entire region or even the whole world? Should borders of nation states converge with the borders of a museum’s exhibition? Who is the target audience of a state-funded museum: that state’s citizens or foreign tourists? Or maybe both groups? These questions probably give headaches to all museum curators – especially in the century of Skype, Ryanair, the EU and electronic visas, when both historical research and museum audiences are increasingly less constrained by borders. These issues became of particular importance to the scholars and staff at the recently opened Museum of the Second World War in Gdańsk, Poland (incidentally, as a middle school student I interned in the very same museum). The staff not only had to tackle issues related to the exhibition, which opened to the public in March 2017, but also found themselves in the middle of a political struggle. On the surface, the conflict was between the liberals, who set up the museum in 2008, and the conservatives, who after an electoral victory in 2015 attempted to change the museum’s leadership and vision. However, the key questions, even if no-one framed them in such terms, were: Can a transnational and global approach to history deepen one’s understanding of the past and the present? And how do historians communicate such a new approach to a non-academic audience? Up until the 1990s, history was studied almost exclusively from a “national” perspective. Borders of states defined the parameters of scholarship. Even those areas of history that by their nature called for a transnational approach – such as migration, colonialism or national minorities – were approached primarily through the prism of nation-states. Similarly, comparative history focused on phenomena happening in various nation-states, and boundaries were still treated as given. This started to change in the 1990s, when some historians (mainly) in America and Western Europe turned to investigating cross-border relations involving both state actors and non-state individuals (e.g. scientists), groups (e.g. migrants), and organisations (e.g. NGOs). Such an approach has been termed “transnational history” (although the concept still awaits a precise definition). Unsurprisingly, this new approach is primarily used to study phenomena which in an obvious way cross borders; these include trade, migration, or transfers of ideas and scholarship. It is worthy of note that transnational history, a novel approach in itself, can be more easily applied to (relatively) new areas of historical research – such as those listed above – than to well-established fields – such as political history – which still tend to be analysed from a national perspective. In Poland, a transnational approach to history is an even greater novelty than in the West. As part of the undergraduate research assistantship programme I looked into the current status of transnational history in Polish academia and discovered that this approach appeared in Polish journals and research projects only recently: it was “imported” from the West. My survey of articles published in the past five years in major Polish historical journals  shows that works which mention transnational history or utilising a transnational approach are, with a few notable exceptions, authored by either foreign scholars publishing in Poland or Polish scholars educated and / or working abroad. The latter are mostly younger scholars, such as Kornelia Kończal and Lidia Jurek (both educated as PhD candidates at EUI in Florence, an institute which has strong ties to the ITSH at St Andrews). Just like in “Western” academia, a transnational approach (even though not always labelled as such) tends to be more acceptable when applied to newer areas of historical research, such as environmental history, than when used by political or military historians. Interestingly, the first written mention of transnational history that I managed to find is not in an academic journal, but on the popular Polish news and blogging website onet.pl. In the 2009 article ‘National history in a supranational perspective’ Marcin Kula, a historian based in Warsaw, shows how one’s understanding of Polish history can be expanded through studying it in a comparative and transnational perspective. Interestingly, Kula mentions that this is precisely what the general public will be able to learn in the (then-under-construction) Museum of the Second World War. This brings me back to the much debated Museum. When Kula published his article, a liberal government was sponsoring a museum that strove to present a comparative and transnational interpretation of the war to the broader public, from both Poland and abroad. After a change of government in 2015, a shift in the museum’s strategy was supposed to follow. This is because history, patriotism and identity in Poland are very strongly tied to one another. As a result, history is of considerable importance to people, both in their political choices and private lives. National history’s natural allies are the conservatives, who subscribe to a “national” (Polish) identity. Transnational history, in contrast, tends to find supporters among liberals who generally identify not only with the Polish nation, but also with the broader European or world community, forging a “transnational” identity which crosses borders of nation states. This is not to simplify the Polish political stage to “conservatives” and “liberals” – every politician and every voter has his or her own perspective on politics, history and identity. I also do not believe the struggle between Poland’s two main political parties can be brought down to their support of or opposition towards “transnational” history (even though historians are, admittedly, overrepresented in Polish parliament). However, it is one of the factors worth remembering when analysing the “politics of history” in Central and Eastern Europe. 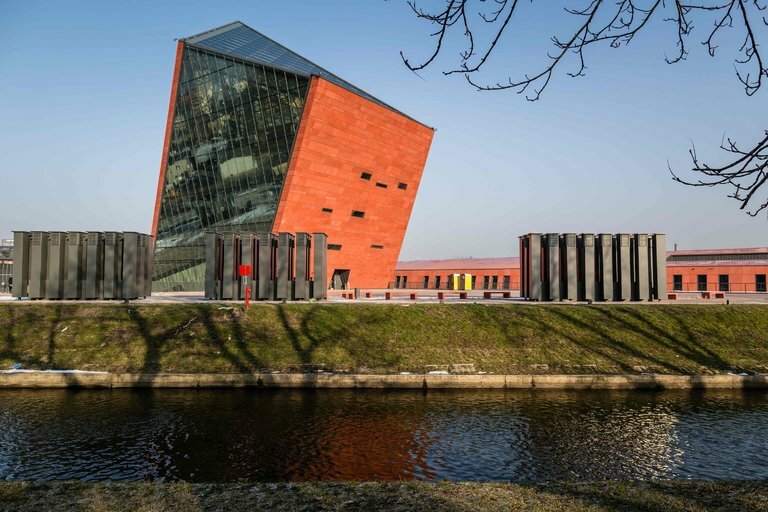 Should the Museum of Second World War in Gdańsk be “national” or “transnational”? Opinions on this matter vastly differ. It is worthy of note, however, that for legal reasons the new conservative government did not manage to introduce changes to the exhibition. 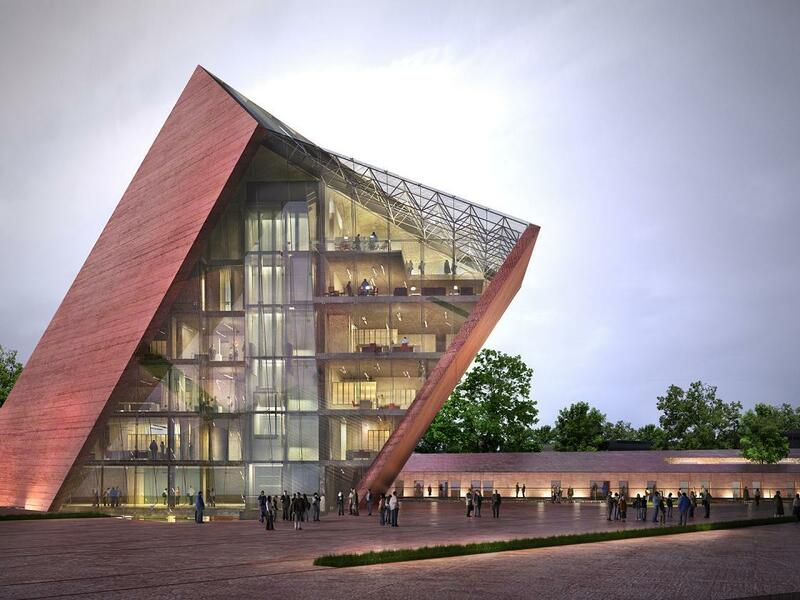 Since the Museum – perhaps the first “transnational” museum in Poland – opened its doors in March 2017, the feedback has been overwhelmingly positive. Surprisingly this includes the enthusiasm of some conservatives, such as senator Anna Maria Anders, which may be interpreted as a hint that the exhibition will not change much in the foreseeable future. Does the museum’s “transnational” approach work? Well, see for yourselves: Gdańsk is easily accessible by plane, and the entrance fee is approx. 5 pounds. I’m going there this Saturday. Ian Tyrrell, What is transnational history?, January 2007, <http://iantyrrell.wordpress.com/what-is-transnational-history/> [2 March 2017]. Klaus Kiran Patel, Transnational History, 3 March 2010, <http://ieg-ego.eu/en/threads/theories-and-methods/transnational-history> [13 May 2017], par. 2. Davide Rodogno, Struck, Bernhard and Vogel, Jakob, ‘Introduction’ in Davide Rodogno, Bernhard Struck and Jakob Vogel (eds), Shaping the Transnational Sphere: Experts, Networks and Issues from the 1840s to the 1930s (New York and Oxford, 2015), p. 5. Patel, Transnational History, par. 2. I surveyed Acta Poloniae Historica (2012-2016), Kwartalnik Historyczny (2010-2014), Klio Polska (2012-2016) and Przegląd Nauk Historycznych (2011-2016). I also looked at Biuletyn Historii Pogranicza (2008-2013) because of its focus on borderlands. Edmund Kizik, ‘Review of Kommunikation der Pest. Seestädte des Ostseeraums und die Bedrohung durch die Seuche 1708–1713 by Carl Christian Wahrmann‘, Acta Poloniae Historica 107 (2013), pp. 225-31. Marcin Kula, Historia narodowa w ponadnarodowej perspektywie, 5 October 2009, <http://wiadomosci.onet.pl/kiosk/historia-narodowa-w-ponadnarodowej-perspektywie/9l5hl> [2 March 2017]. ‘Córka gen. Andersa o Muzeum II Wojny Światowej: „Fascynujące, świetnie zrobione”’, wyborcza.pl, 23 April 2017 <http://goo.gl/QdyUGz> [17 May 2017]. This entry was posted in Uncategorized and tagged Danzig, education, Gdańsk, Museum, Second World War, Transnational by Bernhard Struck. Bookmark the permalink.